The Blackbird Bakery creates a variety of delectable daily baked delights to satisfy all of your needs and cravings, be they deliciously savoury or forbiddenly sweet. At the sweet end of the spectrum, we feature a mouth-watering selection of crisp and tender pastries, including pain au chocolat, almond croissants, cinnamon buns, and vanilla danishes, as well as specialty cakes and tarts, which can be made to order. On the savoury side of things, we offer richly flavoured pot pies (turkey, steak, or vegetable), sausage rolls, ham and cheese croissants, and a collection of daily sandwiches. We also feature a daily assortment of freshly baked breads, including sourdough, marble rye, potato bread, foccacia, baguettes, ciabatta, organic spelt, and raisin, as well as a selection of muffins, cookies, and scones. If you’re looking for a soothing beverage to compliment your meal, we offer a choice of exquisitely enjoyable organic fair-trade teas and coffees. Feel free to dine-in or just grab something on the fly. Our tasty creations are perfect for every occasion, from picnics to parties to epic mountain adventures. 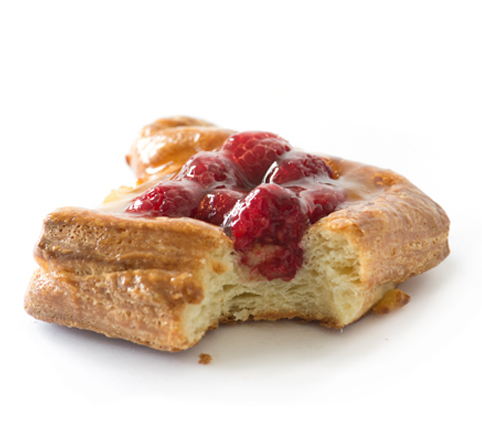 Blackbird Bakery is the creation of professional chef Raven Burns and her former partner Richard. Raven honed her culinary skills under the tutelage of world-renowned Michelin 3-Star pastry chef Thierry Busset, and, following a long stint of living and working in Vancouver and Whistler, she decided to settle in Pemberton. It was here that she decided to immerse herself as part of the local community by bringing in a staple of European culture and cuisine to her new home – a village bakery. Using the loose blueprint of the traditional French style, Blackbird Bakery opened in 2009, and it has been a much-loved staple of the Pemberton culinary scene ever since. Taking advantage of the excellent quality and variety of foods produced in the area, Raven incorporates the locavore ideal of sourcing many of her ingredients directly from the growers and producers of the Pemberton Valley. 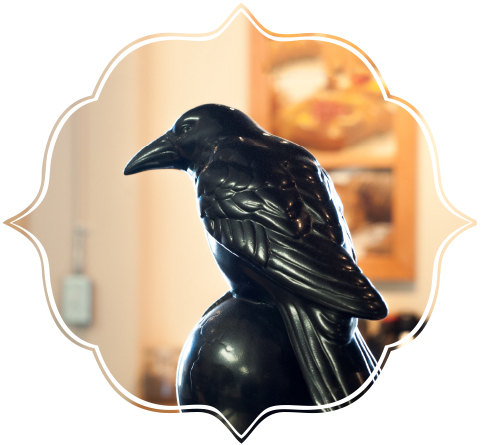 This practice both reinforces the importance of Blackbird Bakery in the cycle of the community, and leads to the creation of a multitude of extraordinarily delicious pastries and baked goods that will leave your taste buds tantalized and your hunger supremely satisfied. 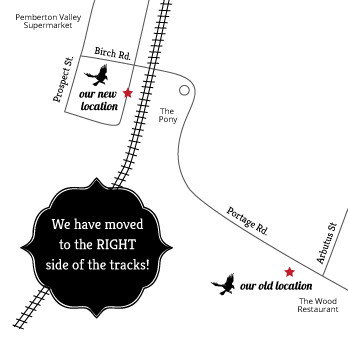 Blackbird Bakery is conveniently located just seconds off of the Sea-to-Sky Highway (Highway 99) just inside the Village of Pemberton, making it easily accessible, whether you’re passing through town for a moment, visiting for the day, or staying for a lifetime. Don’t cruise by Pemberton without dropping into Blackbird for a quick visit. Our tasty creations will make the rest of your journey so much more enjoyable. 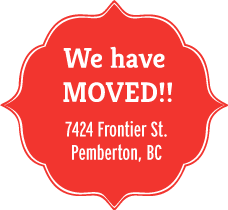 The Pemberton area is home to a bounty of locally owned businesses that grow and produce an abundance of premium quality organic food products. Blackbird Bakery is an integral component of the cycle of this Pemberton culinary community, proudly using locally produced provisions and ingredients from Across the Creek Organics, the Pemberton Valley Coffee Co., Rootdown Organics, and Namasthe Tea Co.
At the other end of the cycle, the Blackbird Bakery functions as a producer itself, supplying its delicious creations to the following outstanding local establishments: Mile One Eatery, Mt. Currie Coffee Co., Solfeggio Foods, and The Wood Restaurant & Lounge.